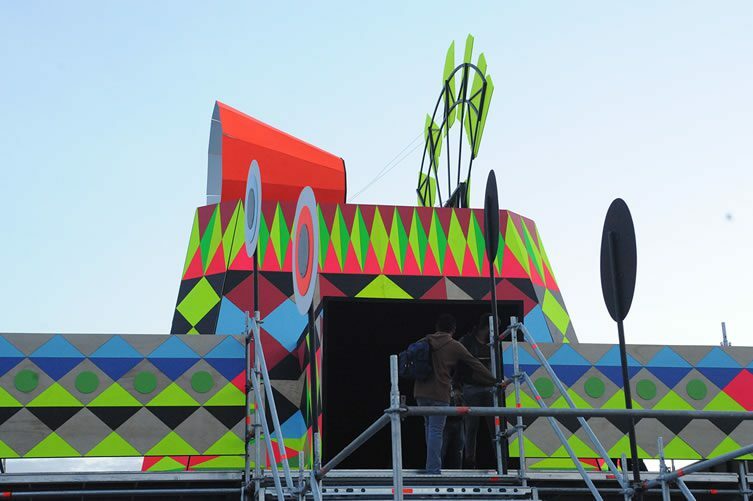 If you notice a faint glow on the western horizon last week, it was probably the most recent work from Morag Myerscough and Luke Morgan. 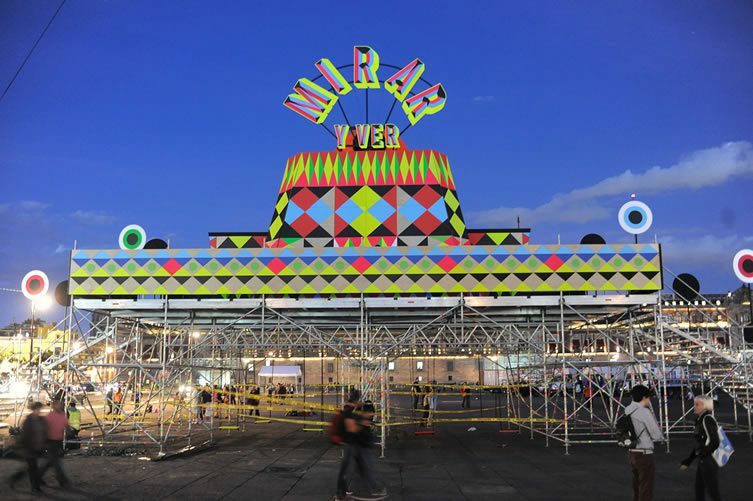 MIRAR — Ways of Seeing may have been constructed thousands of miles away in Mexico City, but the duo’s electrifying use of colour meant the contemporary camera obscura was hard to miss even at long distances. 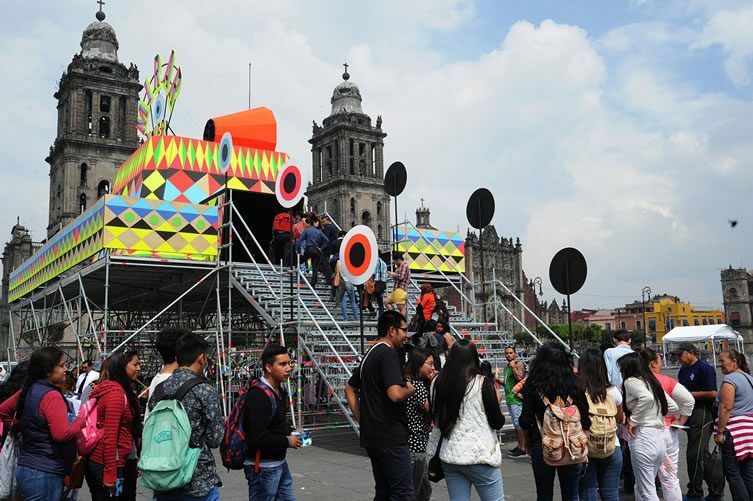 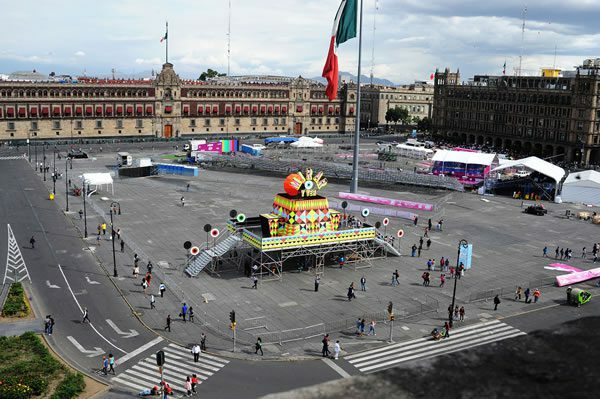 The commission lit up the Mexican capital’s famous Zocalo Square during the five-day Abierto Mexicano de Diseño Festival. 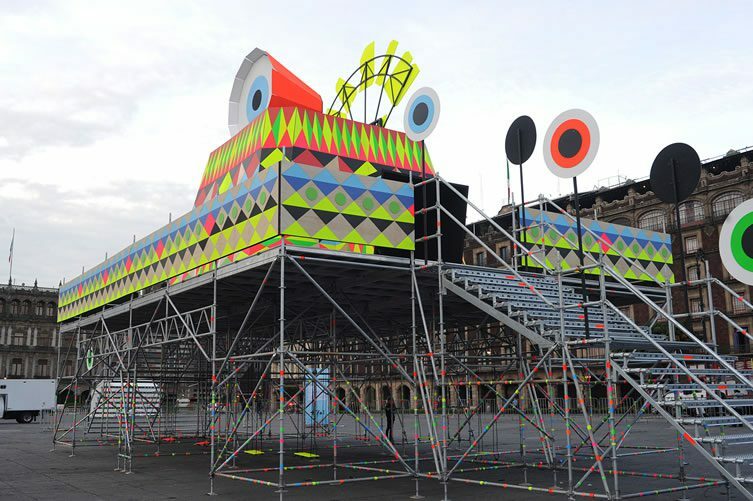 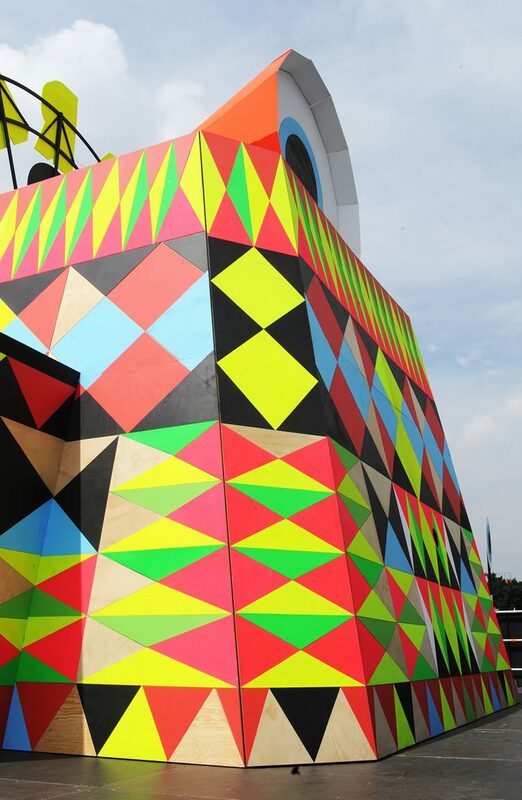 This year’s theme was “solutions”, and Myerscough and Morgan approached the topic from the point of view of designers. 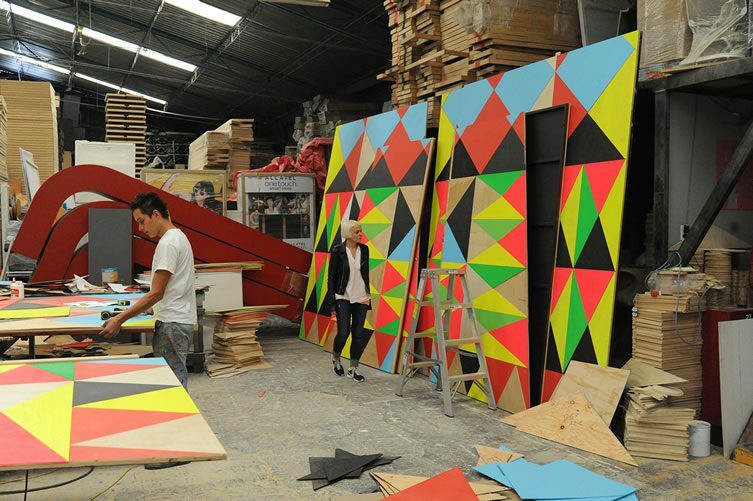 Viewing design as the cornerstone of the production system, the pair considered how design evolves as the solution to an often-complex set of needs and functions. 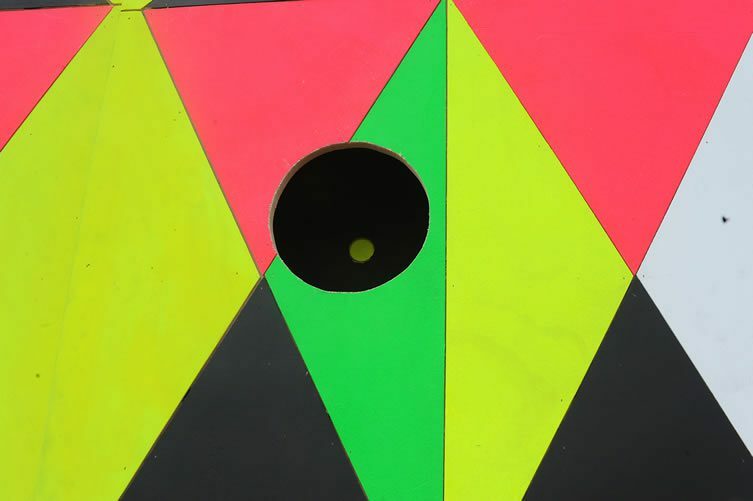 The design process requires the “problem” to be looked at from every possible angle to achieve the best solution, which led Myerscough to think about how much of what we see is actually processed, and how much simply passes by our eyes. 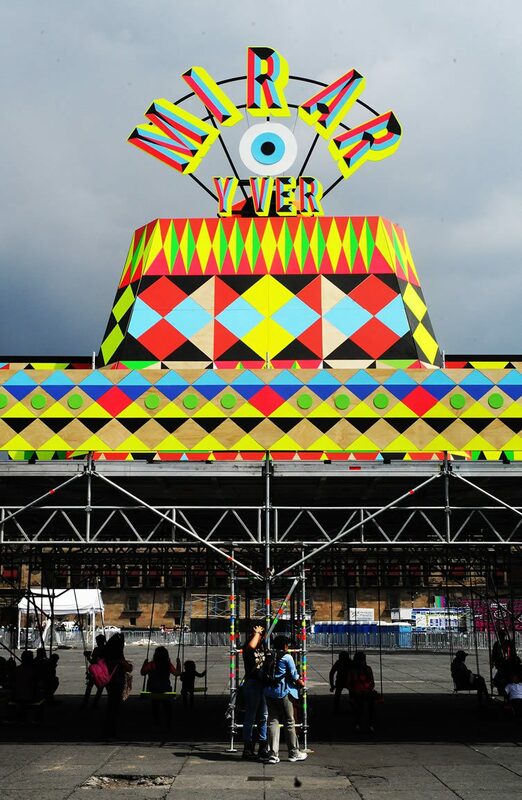 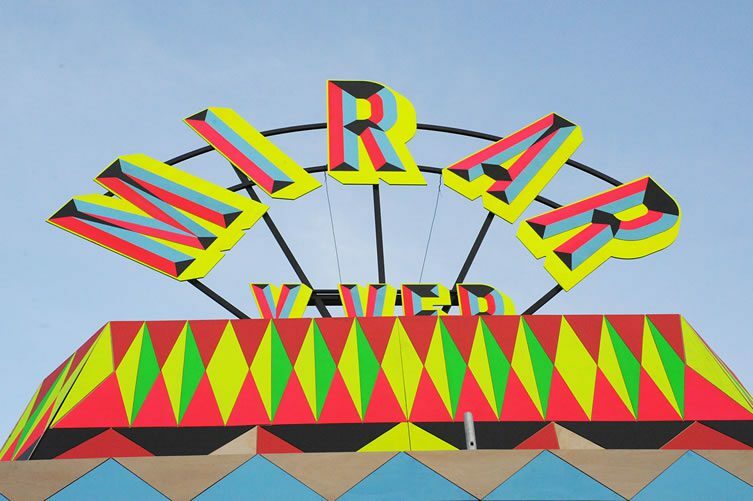 Ways of Seeing makes that question the visual focal point, with the words Mirar y Ver (Look and See) emblazoned in neon atop the installation. 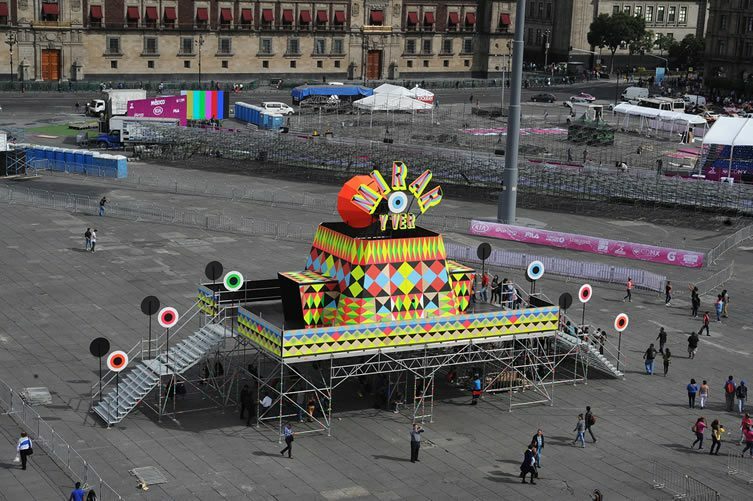 Huge eyes lead up the stairs to the raised viewing platform, which offered visitors who made the climb a different perspective on the popular public square. 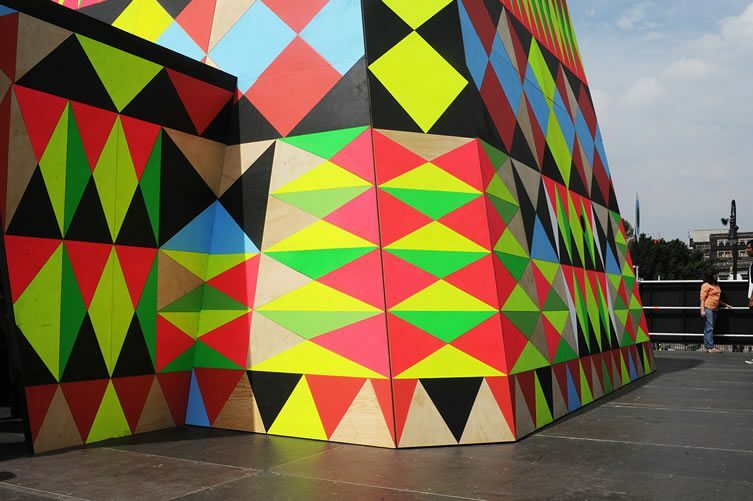 Inside, the perspective was even more unusual, as the camera obscura projected a three-dimensional image of the square upside down onto the black interior walls.